VO2Max will show the amount of oxygen and carbon dioxide consumption in relation to the heart rate, running speed and degree of incline. According to the graph, there are 2 important parameters which are AT (Anaerobic Threshold) and RCP (respiratory compensation point). A running analysis is a detailed evaluation of a person’s running technique, incorporating all parts involved, from the core to the feet, to assess whether there is running form mistake or not. The best running technique is one that is highly efficient, and more importantly, one that doesn’t lead to injury for each runner. For example, why is it that some people look like they are hardly making any effort but are running fast, while others look like they are trying hard but are not moving as fast as they should be? A running analysis can help answer this question. The analysis is carried out by having the person run on a treadmill for around 10–15 minutes at a comfortable pace and record a video of the person running. 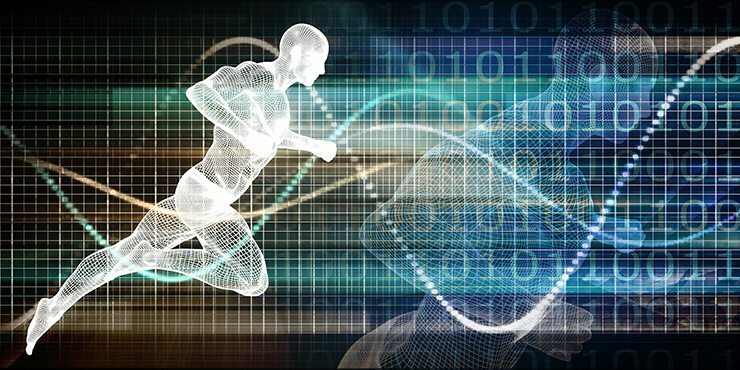 A running analysis is suited to those who sustained injuries from running, such as knee injuries, ankle injuries and back injuries, which can all stem from an incorrect running technique. A detailed evaluation of a person’s individual running technique can help to provide solutions by adjusting the running style, for instance by bending the knee more than before in order to reduce the long-term effects felt by the knee joint. Alternatively, weight training to build hip strength can help reduce aches and pains felt in the back. Isokinetic is a word that explains a certain type of movement. It is most frequently used in the medical profession, particularly within sports medicine. Isokinetic refers to movement at a constant speed, whether the force used in that movement changes variable. Additionally, unlike isotonic movement can refer to the fixed forces that we exert on objects in our daily lives, such as lifting a glass to drink, whereby the weight of the object remains stable, but the speed with which we lift the glass may differ each time. Remark *Not including medical fees or hospital fees. Conditions apply in accordance to hospital. The hospital reserves the right to change any of the terms and conditions without prior notice.